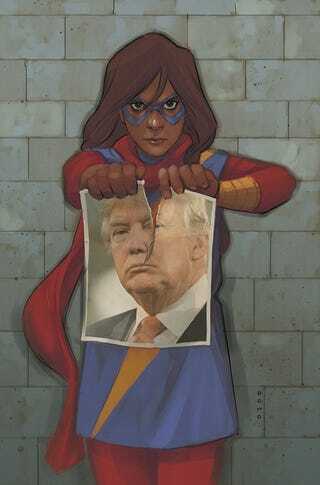 This is another take on a Phil Noto variant for Ms. Marvel. The original has the picture of Carol Danvers a.k.a. Captain Marvel from the Civil War II storyline which he altered himself, but after the last week of attacks on brown people by Orange Face, this version is The Statement of the Week.